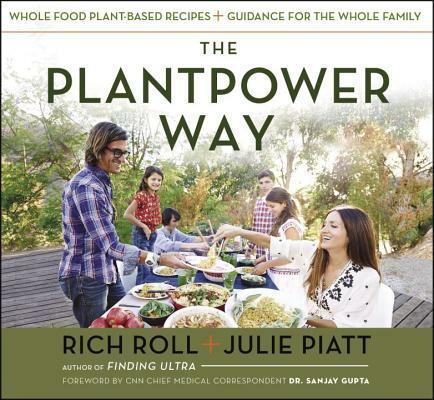 A graduate of Stanford University and Cornell Law School, Rich Roll is a world-renowned plant-based ultra-endurance athlete, bestselling author, full-time wellness & plant-based nutrition advocate and motivational speaker. Born in Colorado and raised in Alaska, Julie Piatt has spent decades traveling many paths and studying many traditions. She is a true renaissance artist who expresses her creative voice as a plant-based chef, singer-songwriter, yogi, sculptor, painter, spiritual guide, and homeschooling parent to four children. Rich and Julie live with their four children in Malibu Canyon outside of Los Angeles. "This is not your typical recipe book. It is a book about hope, and the universally shared belief that any one of us can be better . . . You will not find better guides in that quest." "I loved Rich Roll's Finding Ultra. It really inspired me, but it did leave me wanting more. I wanted to know exactly what Rich was doing to fuel his body. Well, now I have all of his secrets. This beautiful book has all his meals with beautiful pictures and easy to follow recipes. This definitely will become prescribed reading for my patients.